Carony Kids consists of a wheel chair undercarriage, a comfortable seat with an adjustable neck cushion and body support, as well as a foot rack, facilitating turning in and out of the car. 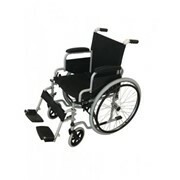 with 12" rear wheels which is a transport wheelchair. 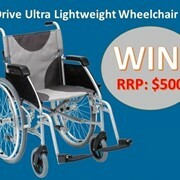 with 24" driving wheels for children who can drive the chair by themselves. with Carony Fixed undercarriage which is of a standard height. Carony Kids does away with having to lift the child and simplifies transport to and from the car. By means of a couple of manual operations, you move the seat and passenger from the wheel-chair frame to the passenger position in the car. 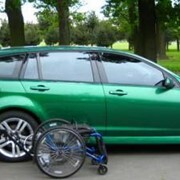 The compact wheelchair undercarriage is stored in the boot when not in use. 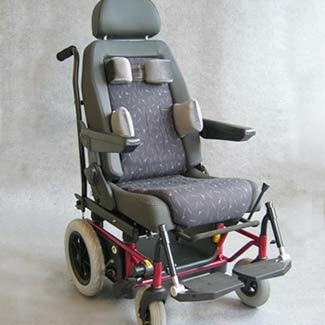 The chair is combined with either the swivel base Turnout or the car seat lift Turny ( Carony Fixed undercarriage with standard height can only be used with the car seat lift Turny). For vehicles with a higher step up, such as minibuses, SUVs and vans, Carony Kids can be combined with the car seat lift Turny. 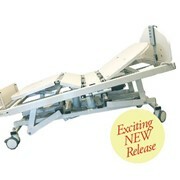 Turny´s continously adjustable raising and lowering function enables docking with the Carony Kids undercarriage. 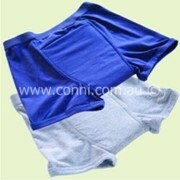 Carony Kids adapts to your child as the length of the seat cushion can be adjusted to follow the growth of the child. When the child has grown out of the chair, it can be converted to adult size with the help of a kit from Autoadapt. The cushion and backrest can be washed and changed if you wish. 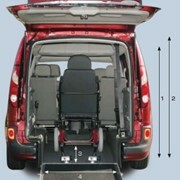 The wheelchair undercarriage is supplied in ruby red as standard. 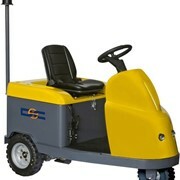 Other accessories, as well as alternative undercarriage colours, are available as options. 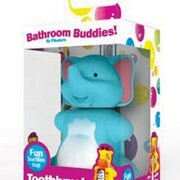 Click here to find out about the Carony accessories. With over 25 years of experience in excellence, Mobility Engineering offers a wide range of automotive and engineering solutions. Here are some of the products and services we offer: - Modifications such as wheelchair hoists and driver hand controls to allow individuals with special needs to drive and travel in vehicles with relative ease. - Other vehicle modifications such as dual controls and... changing seating arrangements. - Engineering Certificates - Child Restraint Fitting and Training Services - Vehicle Body Building - Vehicle Imports We pride ourselves on our versatility, so if you have query, then why not ask one of our friendly staff members? 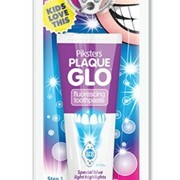 Alternatively you can visit our website for more information. 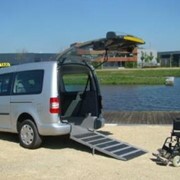 Mention MedicalSearch so Mobility Engineering can best assist you! Get a callback from an expert at Mobility Engineering to help answer your questions.